I have been trying to hold on to sweater weather forever, but unfortunately its slowly fading away. Whether you like it or not, Spring is right around the corner! Here are some trends that I’m loving for this season! DISCLAIMER: I did not take these pictures! These are just inspiration pictures. I think we can all agree that we’ve seen the side stripe become a huge deal this season, and its definitely not going anywhere anytime soon. 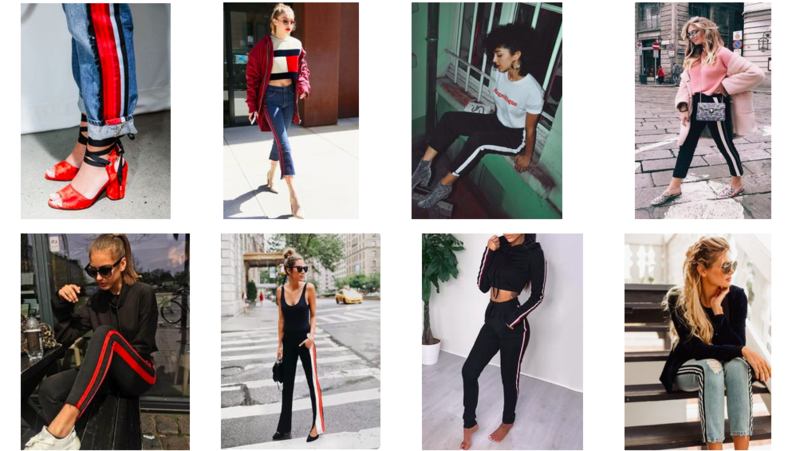 This new trend is the perfect edition to your basic outfit. 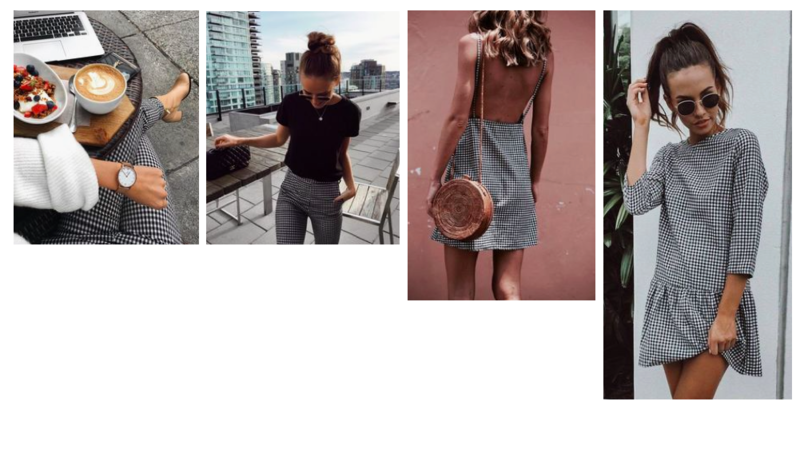 As you can see in these inspo pics, you can pair almost anything with it. It is a great way to add some more color into your outfit, or even use it as an accent to tie in some kind of accessory. If your pants have a red side stripe, add a red shoe to make the outfit look more cohesive. Who doesn’t love this color?! 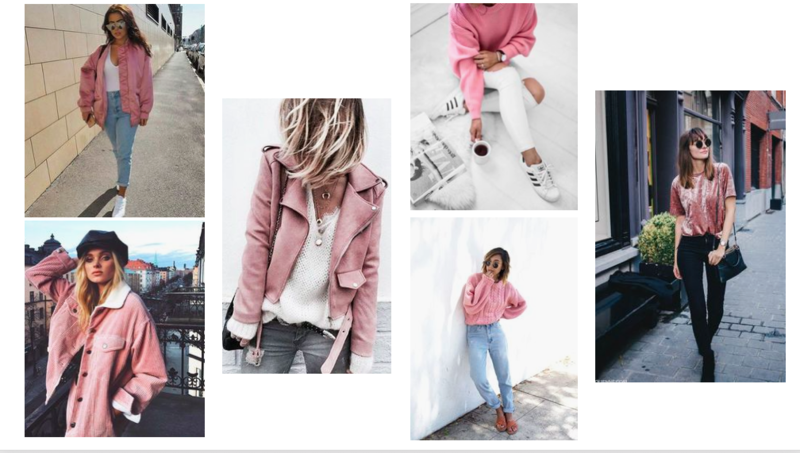 Blush pink has been one of my favorite colors forever, and always looks good on everyone. This is such a perfect spring color, you can never go wrong! Whether its a sweater, a purse, a jacket, or even just a t-shirt, this color will always be fabulous. Stripes are such a simple print that will never go out of style. There are so many different colors and styles to choose from, this can never get boring. 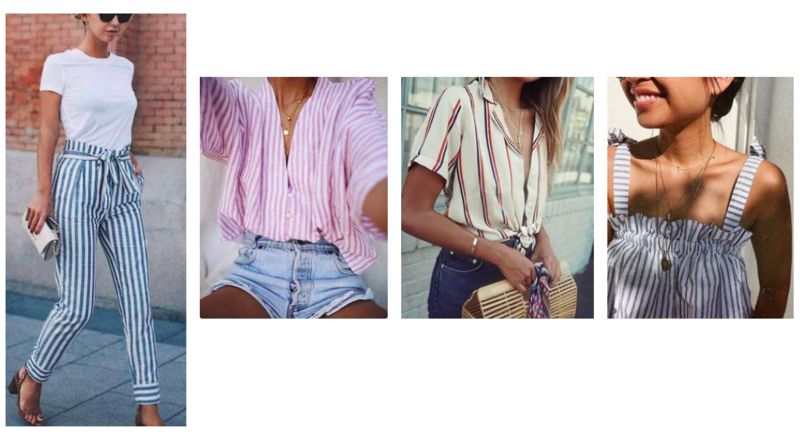 My favorite way to style stripes definitely has to be button down tops because I feel like they can be dressed up or down so easily. Put on a pair of heels, or put on a pair of sandals, either one works. Plus white and colored stripes are so cute and playful for the spring and summer time. This is such a fun way to add a pop of color to your outfit. 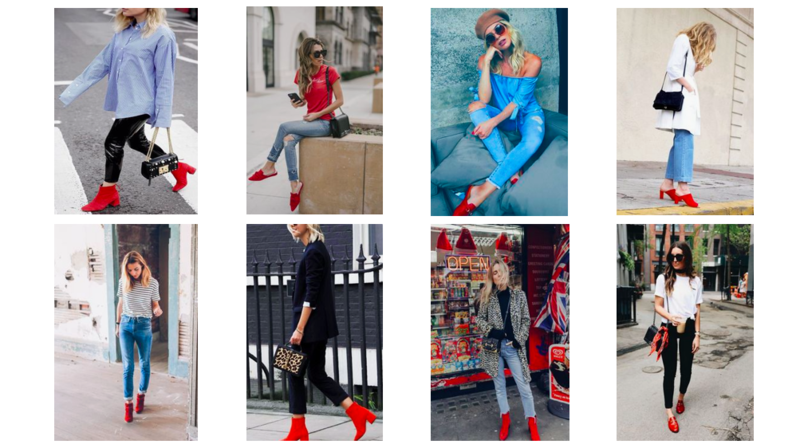 What better pop of color than red?! Red really just speaks for itself. I’m sure you can tell from these pictures, your outfit instantly looks like you put so much more effort into it as well. A red heel paired with a red lip has always been such a classic look for formal events, why not bring it to streetwear! This print has been one of my favorites since I first saw it. This could be the statement piece of your outfit by itself, it doesn’t need anything else to bump it up. Let this print be the main focus of your outfit just because its so beautiful! I can’t get enough. This trend has been blowing up all over Pinterest. 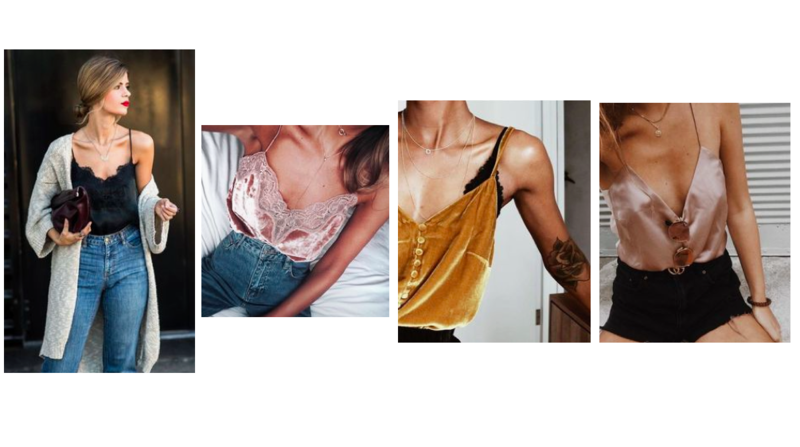 Cami’s come in all colors, styles and materials. They can be dressed up or down, and there will always be a Cami perfect for the occasion you are wearing it for. This is such a classic, it will make you look so sophisticated and chic. This is a trend I will never get sick of. I’ll be posting my spring wish list soon so be on the lookout for that! Let me know which trend is your favorite!